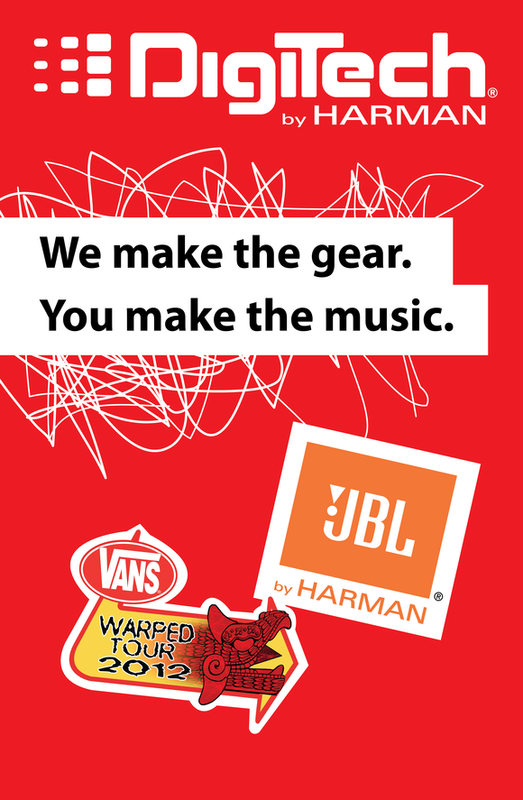 SALT LAKE CITY, Utah – HARMAN’s DigiTech today announced it will team up with the 2012 Vans Warped Tour beginning on Saturday, June 16th in Salt Lake City. The Warped Tour is a touring music festival and will feature over 80 bands performing throughout its duration. The DigiTech will be onsite for all 41 of the tour’s stops across the country. Festival-goers will be able to try out DigiTech pedals for themselves at interactive demo stations, while DigiTech clinicians also demonstrate some of the latest products including the new Whammy, iStomp and iPB-10. In partnership with The Warped Tour, DigiTech will also sponsor band signings and acoustic segments on the DigiTech truck’s stage. Bands on the tour include Mayday Parade, Taking Back Sunday, Yellowcard, The Used, New Found Glory, Streetlight Manifesto, Dead Sara and Of Mice and Men. “We are excited about the opportunity to team up with the best annual touring music festival and bring the newest DigiTech gear to thousands of musicians across the country. We are bringing the DigiTech experience to the fans and we are doing it alongside the biggest names in punk rock, metal and alternative music today,” stated Rob Urry, vice president, HARMAN Professional Division and general manager of Signal Processing and Amplifier Business Units. For more information on the VANS Warped Tour, please visit: http://vanswarpedtour.com/.